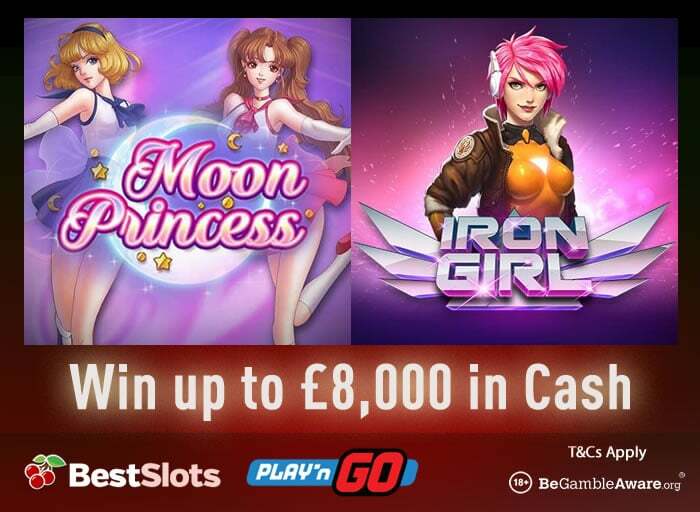 If you like Play ‘N Go slot games, you’re in luck as playing 2 of their most popular titles could result in you pocketing £8,000 in cash! Mr Green Casino are running a £10k Iron Girl Challenge promotion whereby they are giving away 30 cash prizes totalling £10,000 over 5 days. To enter, you need to play the Iron Girl slot game with every 20p wagered giving you 1 point. If you collect the most points before midnight tonight, you’ll win 1 of 10 cash prizes up to £1,000. From the 8th to the 9th of November (2018), you need to play Iron Girl again with the top 10 players with the most points sharing a £3,000 prize pool – the top prize is £2,000. Finally, play Iron Girl from the 10th to the 11th of November for your chance to win the top £4,000 cash prize. If you get the most points over the 3 prize pools, you’ll pocket £7,000 in cash! Iron Girl is a 5 reel, 20 payline slot game where you join Iron Girl and her Iron Armour take on notorious villains in this space-age themed offering. It comes with held villain symbols with free re-spins and a Bounty Bonus feature where you’ll get extra wilds and multipliers up to 5x. There’s also an Iron Armour feature where up to 5 wilds are added – you can win up to 1,000 times your stake on every spin with a 5x multiplier. Sign up now at Mr Green Casino to get 20 no deposit Starburst bonus spins, a 100% bonus up to £100 plus 200 more NetEnt bonus spins. Moon Princess is a 5 reel, 20 payline title that has a Japanese manga/anime theme and is highly volatile. You can win again and again from every spin with the multiplier going up by 1 up to 20x if you get on a roll. The Girl Power feature sees symbols transform, wilds added and symbol sets destroyed. The Princess Trinity feature gives you 1 spin with the Girl Power features in play – clear the grid to enter the Free Spins feature with your chosen princess for up to 20 free spins and multipliers up to 20x. You can win up to 5,000 times your stake on every spin. Register now at BetVictor Casino and deposit just £10 to get £50 worth of bonuses.